Jason was the first Live Transformers Actor, some 15 years before the current series of live-action Movies. His character (Tommy Kennedy) was reporting for the "Autobot City News". He told us how he ended up here as a guest, from anonimity just 6 months ago. When the 2007 movie was being promoted in 2006, his co-workers were commenting on the net (to other people who weren't in the fandom) about how they worked with the kid from Gen1 (Jason didn't keep it a secret). But it wasn't until six years later, in December 2012, when his sister found a fan's blog entry that had put out the call to find the "lost" actor. She told him about it, and he replied to the blog. 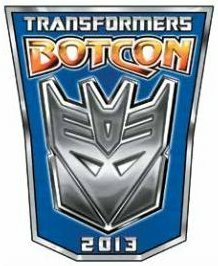 From there it spread to fansites, and then to FunPub, who invited him to this year's BotCon. 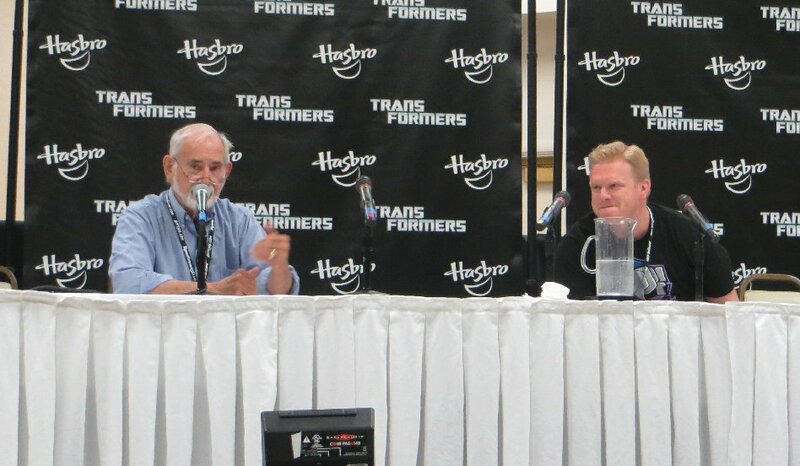 It should be noted (as I've mentioned elsewhere) that he has really embraced his his involvment in the history of Transformers, having so much fun over the weekend, that I can imagine him coming back to future conventions as a fan. For someone to be new to the fandom, and not even knowing about the convention environment (with crowds of obsessive fans), I thought he might be a bit aprehensive, reserved, or even keep to himself outside of his Guest obligations... but no. He was as entertaining to us, as we were to him. Wally Burr wanted to settle the "Orson Welles Rumour" once and for all - he did all his lines before he died. No one had to do any of them after he died. He continued on with some stories about Orson Welles, during his recording of Unicron for the 1986 Movie. Since he was about 300 pounds at this stage (over 130kgs), his wheelchair arrived some time before he did... and when he did, he chose to walk inside anyway. Orson started reading the narrator lines, and Burr was afraid to correct him, as Orson didn't like other people directing him (and Burr couldn't risk having him leave in protest). He ended working out that he was Unicron and read those lines. During his time in the recording booth, Orson actually started taking over the directing role, and no one was going to risk upsetting him to stop him. At one stage, Burr wanted him to re-read a line to make it more intense, but Orson said it was okay as it was, so didn't re-read it. Ultimately, they just sped up his recorded line a little. He recorded all his lines in 3 hours, and then hung around for about 45 minutes answering questions before he left, so was still a good sport, despite the controlling nature. Jason talked about the Optimus "puppet/statue", saying it was a wooden structure that was controlled by two people, including a person who was the doing the Sesame Street Mr Snuffleupagus. He said that the structure was quite fragile, and was only able to stand on the hand safely. Wally Burr told us how he got into the business of Voice Directing. He used to work in advertising and knew Harrison Ford's father from it. Then in the early 80s, a friend of his called him to ask for a favour. His friend needed some help with the GIJoe cartoon, as he had been Voice Director, but needed someone to fill in for him for one episode. Burr came in and did such an intense job, that the producer Joe Bacal (who was watching on in the back of the recording booth) asked him to replace his friend as Voice Director for GIJoe. From there he was called on to do Transformers and Jem. I had to leave this panel early to recharge my camera battery... so I missed some of the Q & A.